Now you can play BVS Solitaire Collection on your Mac! BVS Solitaire Collection for Mac OS X is a high-class collection of 520 solitaire games. 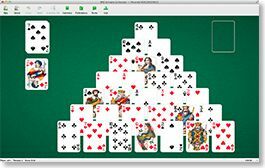 It includes all classic solitaire favorites like Tri-Peaks, FreeCell, Pyramid, Spider Solitaire,Klondike, Scorpion, Seahaven Towers, Accordion, Monte Carlo, Forty Thieves, Flower Garden, German Patience, Golf, Cruel, Russian Solitaire, Yukon ... It also includes over 100 original variations of solitaire not found elsewhere. Plus, you can use "Modify Rules" command to create your own unique solitaire game variations. 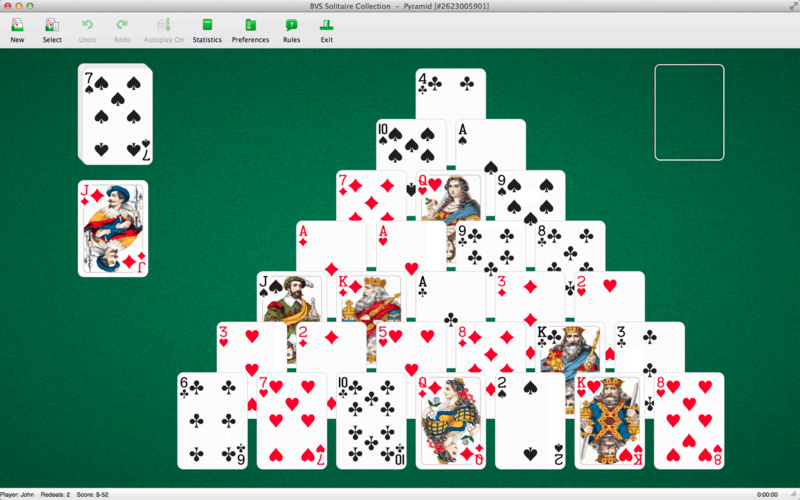 Order the full version of BVS Solitaire Collection for Mac now using secure order form. Includes three years of free upgrades.